The bean often gets a bad rap for... well... just being a bean! But this little legume is a creative and often a eager addition to the world of food. 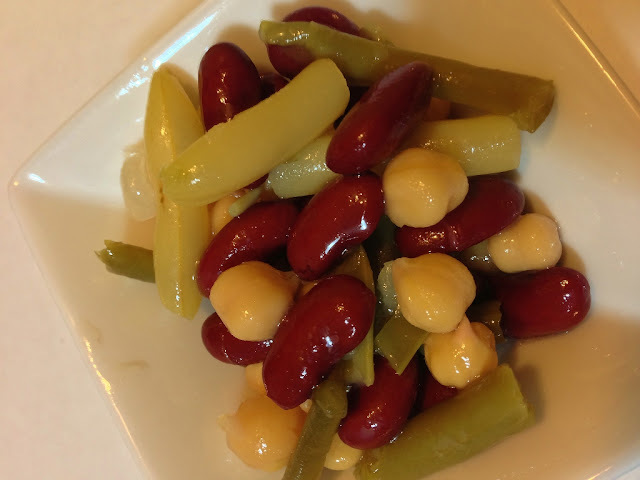 One of the easiest and often most tasty additions is in the form of a four bean salad. With a few simple ingredients, you can turn a lonely bean into a great dish. • 1 can (16 ounces) kidney beans, rinsed and drained, reserve 1/4 cup. • In a large salad bowl, combine all of the beans, and onions. In a small bowl, whisk the sugar, vinegar, oil salt and the reserved kidney bean liquid until sugar is dissolved. Pour over bean mixture; toss to coat. Cover and refrigerate overnight, stirring several times. Serve with a slotted spoon. Yield: 10-12 servings. Looks great! I am making it this weekend. Thanks!